Description: In-24�, 112 pp, all pages within double lines. With 55 copper engravings, designed by Pieter van der BORCHT and engraved by a not-named artist (perhaps P. Uten Wale). 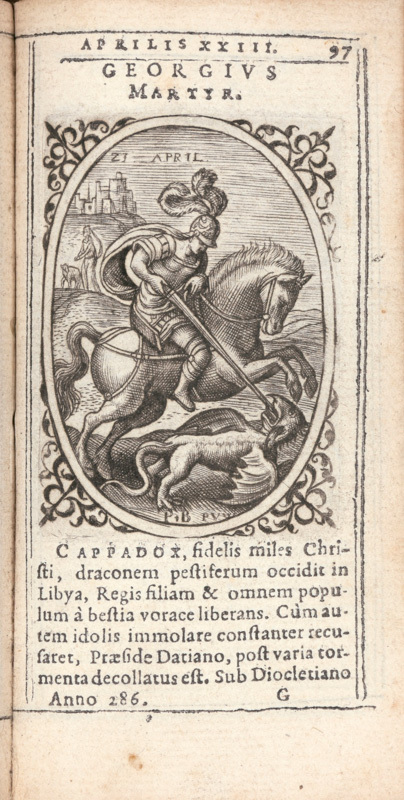 Followed by: Sanctorum Kalendarii Romani, Iuxta Concilium Tridentinum restituti imagines in aere excisae. Antverpiae, ex off. 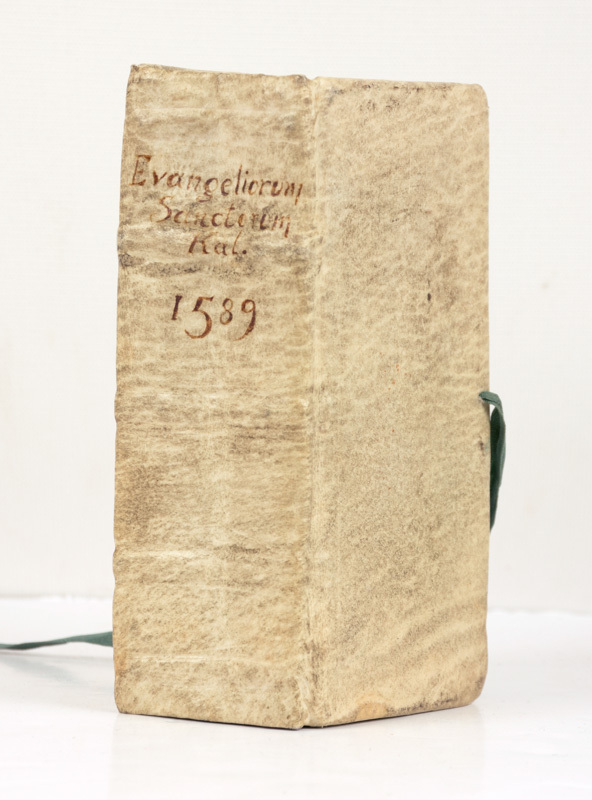 Christophori Plantini, 1584. In-24�, 464 pp, ill. with 230 nice copper engravings, representing saints or scenes from the New Testament celebrated on fixed calendar-days, designed by Pieter van der BORCHT. Some very pale damp staining at the end of the vol. Nice copy. Note: Two beautiful related illustrated publications by Plantin. 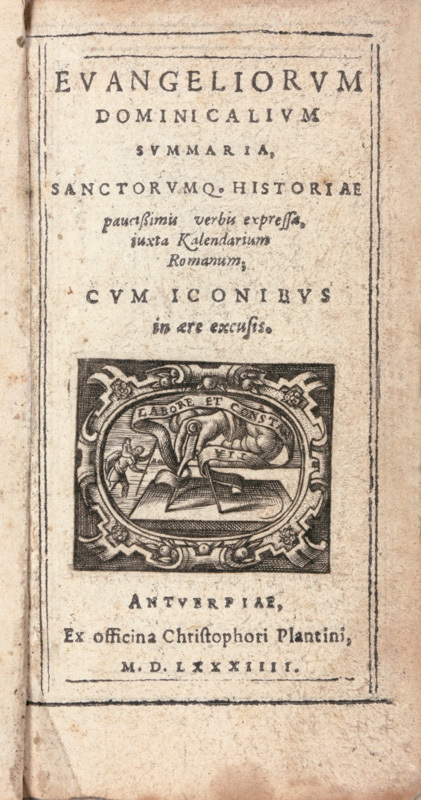 Other books printed by Chr. Plantin: lots 608- 646- 724- 730- 921- 927- 1028- 1036.